Let’s talk about Mitigation! | Where is @rusnivek? Another piece of the recovery effort is to breech the subject of mitigation. 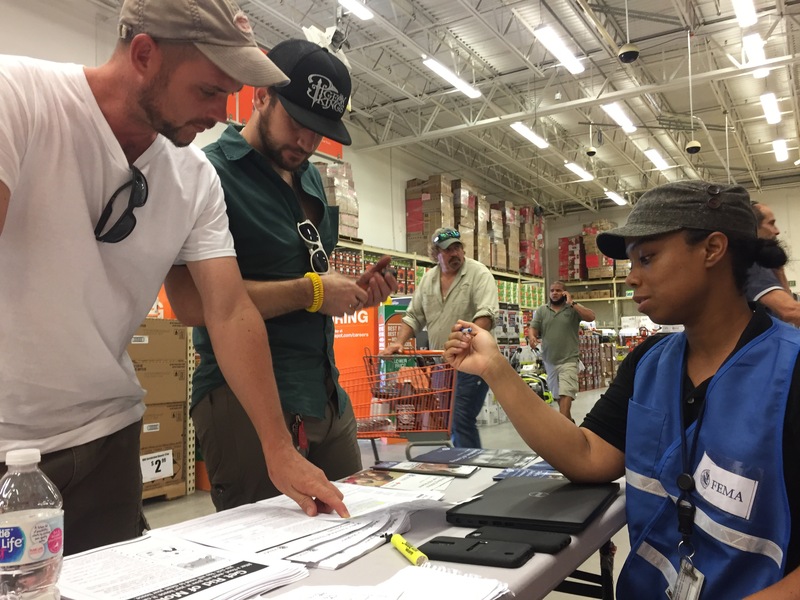 We had several teams throughout the state placed in strategic locations – talking about mitigation strategies for various natural disasters. Many of our teams handed out free flyers and pamphlets discussed ways to better mitigate dangers and potential issues at their residence or business. The one pictured above was in the second floor of the community’s fire station. These types of community events are made so that residents have the ability to engage with Federal partners and ask questions, dispel rumors, and give a better understanding to processes. And yes, no matter how early, mitigation and preparedness are such a critical part of phases of emergency management. This entry was posted in Uncategorized and tagged 2017, 4, 4337, 4337-FL, across, affairs, Agency, Beach, broadcast, Category, county, danger, Department, depot, DHS, disaster, dispel, Emergency, ESF15, external, ExternalAffairs, Federal, FEMA, FL, flood, flooding, florida, FloridaKeys, FLWx, HOME, homedepot, homeland, hurricane, Information, irma, kevin, Keys, KeysRecovery, Management, media, miami, mitigation, Monroe, MonroeCounty, Natural, News, Officer, Orlando, packed, Palm, PAO, PIO, Preparedness, Public, recovery, Region, Response, rumors, rusnivek, security, seminar, seminars, Spokesperson, State, storm, sur, surge, survivors, table, tallahassee, Tampa, television, tornado, tv, West by rusnivek. Bookmark the permalink.